Hyundai’s Genesis luxury marque takes the next step. Genesis Gangham, the first standalone showroom for Hyundai’s luxury brand. Launched in November 2015, the Genesis brand has quietly and steadily continued to transition away from Hyundai to stand on its own. 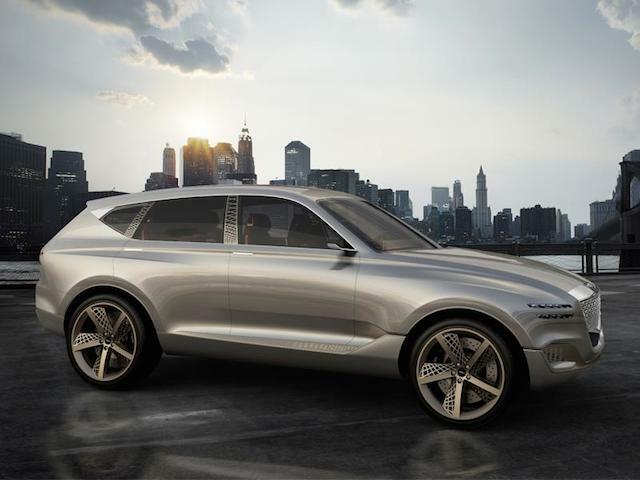 Hyundai’s luxury marque is currently composed of just two models, with a third sedan on the way. By 2020, the Genesis nameplate should include six models — three sedans and three SUVs. The big news right now has everything to do with the way the Genesis markets its products. Currently, Hyundai dealerships carry the Genesis, carving out showroom space to present its two models. Certainly, that’s not an ideal way to advance a luxury brand, something Hyundai Motors will rectify by awarding standalone Genesis dealerships to top-tier retailers. The Hyundai-Genesis split follows a seven-year test of the brand with American consumers. Beginning with the Hyundai Genesis Sedan, followed by the Genesis Coupe and Hyundai Equus, consumer interest and acceptance was quickly confirmed. Indeed, the Genesis sedan quickly became one of the top sellers in the segment. Moreover, consumers expressed interest in a standalone brand, much in the same way Toyota maintains Lexus. To begin the transition, Hyundai replaced the Equus with an all-new Genesis G90, while an updated Genesis sedan received the Genesis G80 name. However, the Genesis Coupe did not make the transition and ultimately Hyundai discontinued it. Even so, we may yet see a Genesis sport coupe at some point, but it isn’t a priority for the brand. The first standalone Genesis showroom opened in early January in Korea. 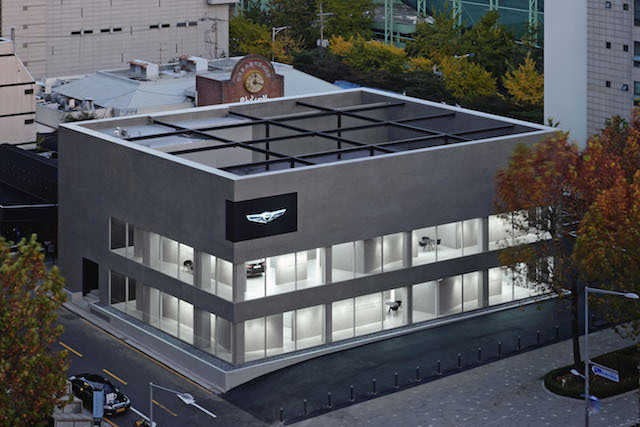 Dubbed “Genesis Gangham,” the new showroom sits in Seoul’s Samsung-dong, Gangnam-Gu, the city’s prime business district. The showroom features a “launch bay,” where the drive experience begins. There, shoppers have a choice of five test drive courses on public roads around the district. The all-new Genesis G70 sedan arrives April 2018. As for the US market, Hyundai plans to give some of its 350 elite-level dealers priority to apply for standalone dealerships, according to Automotive News. For the 2019 model year, Hyundai dealers not making the cut will quit selling Genesis product, but will receive compensation from the automaker to cover inventory, training and equipment to service Genesis models and for helping raise Genesis awareness. Genesis plans to award approximately 100 locations in 48 markets across the United States. Top markets include such major cities as Los Angeles, Chicago and New York as well as San Francisco, Miami and Washington, DC. Some markets will have just one Genesis showroom. 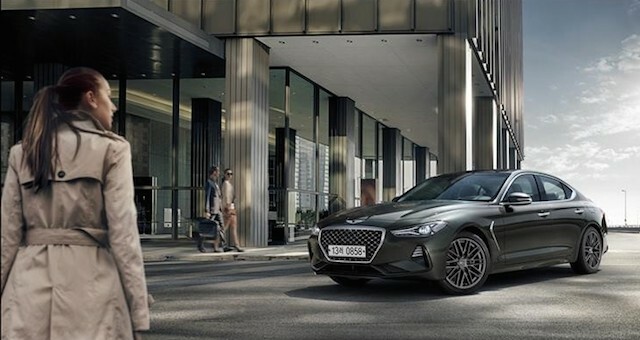 Genesis will announce its initial franchise recipients in the coming months, requiring showrooms to open no later than the end of 2020. As for the upcoming product, the compact G70 sedan is on sale in Korea and arrives in the US this Spring. The Genesis G70 targets such models as the BMW 3 Series, Cadillac ATS and the Mercedes-Benz C-Class. As for the first of three Genesis SUVs, the GV80 Fuel Cell Concept revealed at the 2017 New York International Auto Show likely points to what’s in store. That said, Auto Trends believes the main model will feature a conventional gas-powered drivetrain with a fuel cell or hybrid optional. Hyundai Motors is deeply invested in vehicle electrification, perhaps serving as variants on conventional models such as the GV80. The Genesis concept points to the brand’s first SUV. Hyundai Motors’ “go slow” approach to growing the Genesis brand comes as US auto sales pulled back slightly in 2017, following seven consecutive years of growth. Luxury model growth has slowed also, but consumers continue to flock to many models with higher price points. Launching a new brand is an extremely expensive and laborious proposition, a cost Hyundai Motors’ will spread out for several years to come. Photos copyright Hyundai Motor America. All rights reserved.